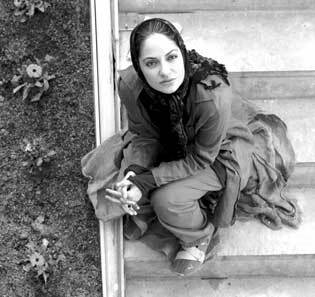 Peiman Mo’adi is famous for his parts in two of Asghar Farhadi’s films, About Elli (2009) and Nader and Simin: A Separation (2011). Before acting, he wrote screenplays for such films as Swan Song, Coma, Thirst, Wedding Dinner, and Café Setareh all of which were among bestsellers. Mo’adi has also made two short films and has started making his new feature, Snow on Pines, since late March. He is specifically interested in directing. He had set aside one of his screenplays, Hawk, for himself since many years ago, but the screenplay which reflected on social issues was turned down by Ministry of Culture and Islamic Guidance. Screenplay of Snow on Pines was written about five years ago. It is about a pianist woman who is usually at home and a major development faces her with a tough choice. The part has been played by the Iranian star Mahnaz Afshar. Mo’adi is a close friend of Asghar Farhadi. Talking about the influence of Farhadi on his films, he says, “I learnt from Farhadi that you should work painstakingly. When rewriting Snow on Pines, I was under his influence.” The story is about wintertime. He says, “Since childhood, I loved the scene of snow on pines. I thought if I shook snow off those trees they could breathe; otherwise, their branches may break down.” The name alludes to burden of responsibility which human beings shoulder. Crewmembers include Mahmoud Kalari (director of photography), Sepideh Abdolvahhab (editing), Iraj Shahrzadi (sound recordist), Ghazaleh Mo’tamedi (production designer), Mehrdad Mirkiani (makeup), Mohammad Hossein Sadatian (photographer) and Jamal Sadatian (producer). The cast includes Mahnaz Afshar, Vishka Asayesh, and Saber Abar.